News and inspiration from around the conference. Veteran's Day at Vista Ridge » Vista Ridge Academy paid special tribute to area veterans on Tuesday, November 11, with a luncheon and program for those who have served and continue to serve our country. 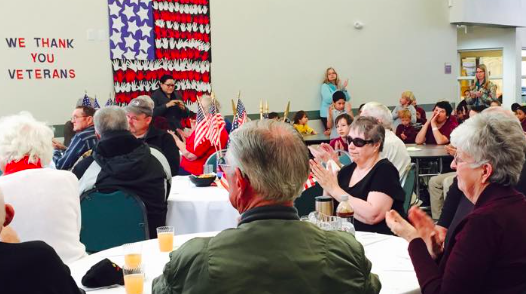 They honored military veterans with songs, speeches, and cards of appreciation. If you would like to be put on their invitation list for next year's event, please contact them at 303.828.4944. Thank you, veterans, for your service! Baptism in Golden » On Sabbath, November 15, at the Golden (Colo.) Church, two young people were baptized. 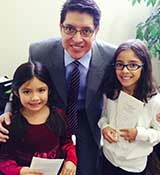 Sarai and Andrea Carpio accepted the baptismal vows to love Jesus always. Both girls attend Mile High Academy. Pastor Ruddy Vivanco, the pastor of the Golden Church, officiated in the ceremony. "Marcia Stop grew up in the Cheyenne Seventh-day Adventist Church. There were a number of years when Marcia did not attend church. Then in the past year or two, Marcia began attending Sabbath School and church again. On October 18, 2014, Marcia rejoined the Cheyenne congregation by profession of faith. We are all thrilled to have Marcia worshipping with us each Sabbath once again!" 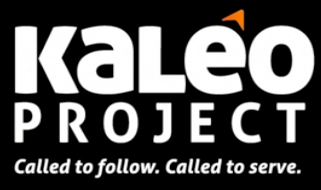 RMC Kaléo Project plans trip to Dominican Republic » Plans are being laid for the Kaleo Project 2015 evangelism trip. Students from around the Rocky Mountain Conference will be heading to the Dominican Republic in March to build a church and school, and to hold 15 evangelistic meetings. Both veteran youth evangelists and new youth evangelists are about to begin their training to preach the gospel of Jesus! We have hardworking youth who are committed to building places of worship and education so that the church in the Dominican Republic can continue to grow. Our young people are starting to raise funds to attend this mission trip, and if you would like to help make it possible for an RMC youth to participate in spreading the gospel, please consider donating online here. Over the past two years of the existence of the Kaleo Project, more than 30 evangelistic series have been preached, along with several building projects. More than 400 people have been baptized because our youth are willing to go all over the world to preach love and hope in Jesus! Vista and Twin Peaks present Christmas musical celebration » You are invited to the musical program, “Jesus, the Light of the World,” on Saturday, December 13, at 9:30 a.m. at Vista Seventh-day Adventist Fellowship located at 701 Kimbark Street, Longmont, Colorado, and again on Saturday, December 20 at 11:00 a.m. at Twin Peaks Seventh-day Adventist Church located at 9696 Pascal Drive, Louisville, Colorado. You are also welcome to stay for a warm fellowship meal afterwards. Following the fellowship meal at Twin Peaks Seventh-day Adventist Church on December 20, you are invited to join us for a special outreach program, “Passing on the Gift,” at 2:30 p.m. We will be singing Christmas songs around a Nativity Scene and passing out literature. Whether or not you join us for this event, we encourage you to think of ways that you personally, or as a group, can bless others during this season!! Wellness Secrets comes to Pueblo » Do you have a calling to do something, but you don’t know where to begin? Does money or lack of help seem to be posing a problem? Are you involved in a project, but there are trials that are testing your faith? The Pueblo First Seventh Day Adventist Church at 3910 O’Neal Avenue in Pueblo will have an inspiring presentation by Wellness Secrets. The presentation will be given on Saturday, December 13, 2014, at 11:00 a.m. Please come and be blessed. For questions and details, call 719-561-0770. Plan now to attend the One Project » Japhet De Olivera, senior pastor of the Boulder Church, is one of the founders and principal organizers of the One Project. Each year people from around the world gather to learn how to draw closer to the One who matters most! This year's meetings will be held on Feb 8 & 9, 2014, in San Diego, Calif. Click here for more information and to register. Early registration ends on Dec. 31. ACS Job Opportunity » Adventist Community Services has an immediate opening for a part-time (28 hrs/week) Food Bank Coordinator at its Denver location. The Food Bank Coordinator serves an important role by helping provide food to the varied clients of ACS-LIFT. For a complete job description and application, please click here. For more information about ACS Community LIFT and its ministries, please visit www.acslift.org. Due to the Thanksgiving holiday, the News Nuggets will not be issued next week. Have a wonderful and blessed season of giving thanks! Friday, Dec. 5, at 7 p.m.
Saturday, Dec. 6, at 4 p.m.
8 a.m., 2:30 p.m., & 6 p.m.
December 13 at 11:30 a.m.